Find a financial advisor in London Ontario today. Financial Strategies Group in London Ontario is a wealth management based investment consulting firm, specializing in financial, retirement, estate, and business succession planning. We'll help you manage your money your way. You’ve Worked Hard, and You’ve Saved. 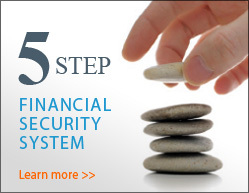 You deserve financial security – the kind that comes from having a well designed and carefully implemented financial plan. But it's a big job. You need a Certified Financial Planner (CFP) you can trust to coach you through the financial planning process. Chris Cahill CFP has successfully helped clients in London Ontario, and throughout Southwestern Ontario manage their wealth. Chris will create a financial plan tailored to your specific situation, and help you reach your financial goals.